Welcome to our gallery collection of the most popular types and styles of houses from around the world. According to researchers at ScienceDirect.com, Asia was one of the first global locations to develop rudimentary building design now ironically referred to as first examples of “green architecture” on the planet. These primitive examples of different types of houses are lost in time as a direct consequence of using organic materials. Yet as societies advanced, so did the desire to own shelters that protected against weather patterns, promoted aesthetics and served as status symbols. 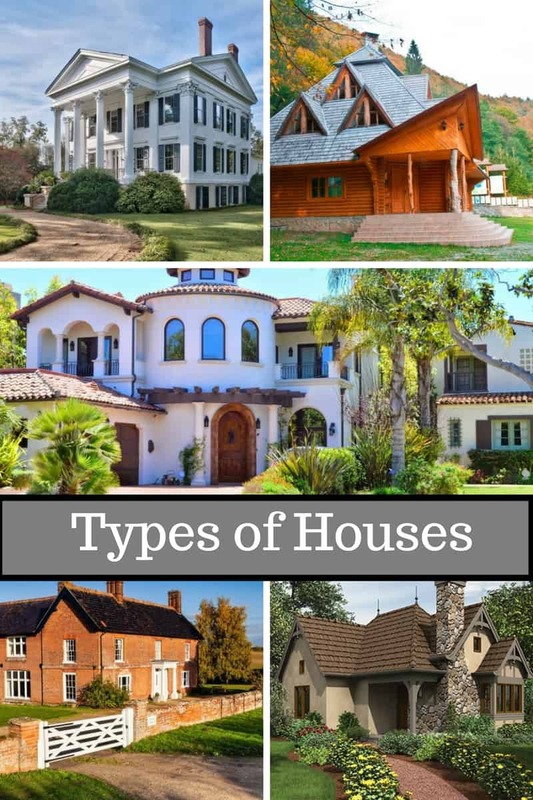 We profile 33 of the most popular house styles on today’s world market to learn about their origins so you can properly identify different types of houses frequenting the landscape from coast to coast and around the world. Are you confused about the difference between a modern home and a contemporary one? You’re not alone. A modern house, say folks who know a thing or two about them, refers to abodes built between the turn of the century and the 1950s, though to look at these homes today, they look anything but modern. 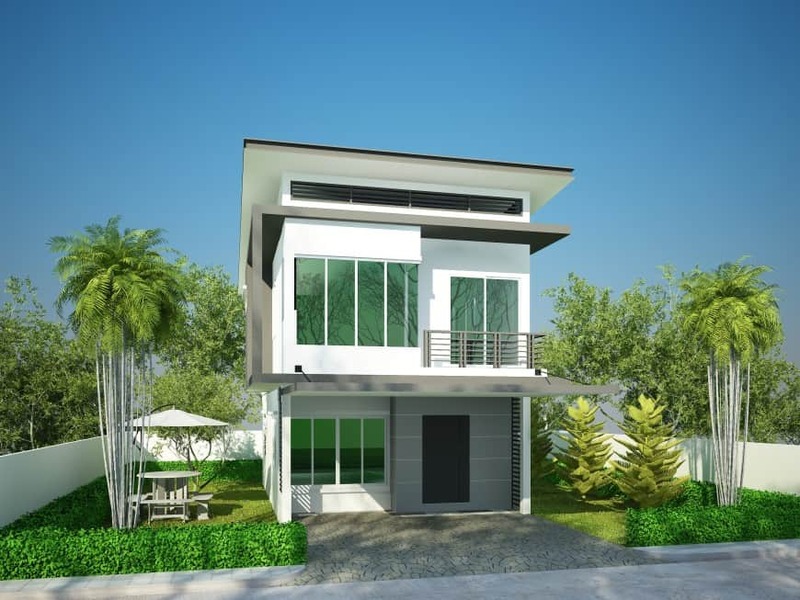 Modern homes are sleek, simple, free of frills and are built of organic materials. The father of modern architecture, Ludwig Mies van der Rohe, intentionally used nature when designing his modern houses, but over time, even his definition has become more expansive. The townhouse is tall, narrow and multi-storied, but it needn’t be located in town. 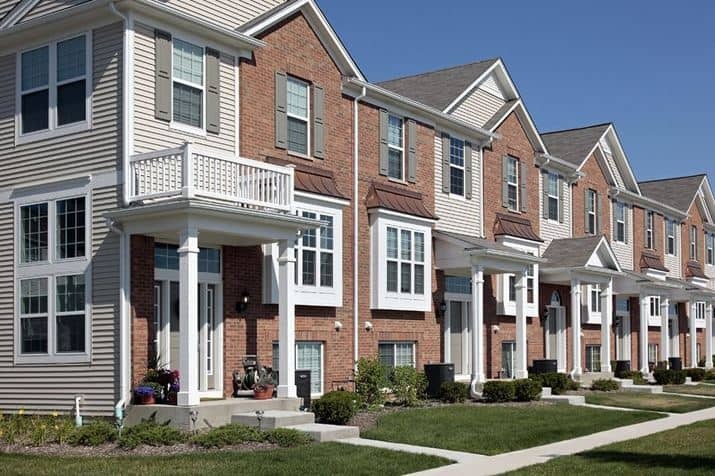 In fact, townhouse subdivisions are springing up everywhere as a need for multi-family dwellings increases. Highly sought-after in New York between 1780 and 1830, townhouses now come in eclectic types that can’t be pigeonholed by style. Revival townhouses were coveted in New York by the 1920s. Lavished with brick exteriors, Greek motifs, columns and ornate entryways, these units rested atop buildings with brownstone bases, but were replaced after 20 years by Renaissance Revival and Beaux-Arts models. 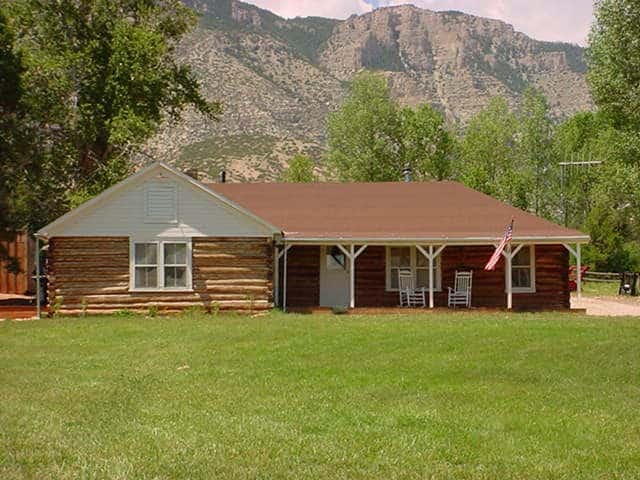 The ranch house first appeared on the U.S. real estate landscape in the 1930s, driven by homeowners desires to own affordable, easy-to-care-for homes designed for casual living. Dig deep enough and find early Western ranch layouts that are considered part of America’s rural history. Simple layouts paired with open interior space are hallmarks of the ranch house, as are big slabs of window glass. California developer Cliff May is considered this style’s Godfather. His mission, to insert sunshine and breezes into homes, remains sacrosanct and appreciated even today as young couples on budgets and downsizing retirees seek single story living. 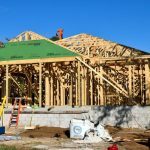 Ranch home builders understand the important roles that yards, porches and garages play when they build, so while small and tidy, homeowners get a lot for their money. 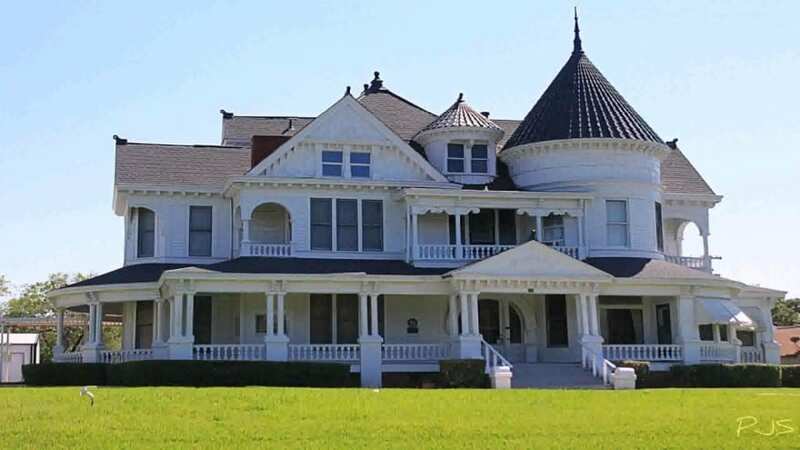 An architectural style named for Queen Victoria, this house style became the darling of the wealthy eager to flaunt their positions in society at the turn of the century. That said, these houses are no “one size fits all” buildings. Known for exterior gingerbread styling, cupolas and lush interiors that include thick velvet drapes and ornate furnishings, Victorians remain a status symbol to this day. Easily identified by silhouettes and neo-classical influences, the Victorian remains one of the most easily-identifiable residential styles in the world—oftentimes for outrageous façade color choices used by builders that give this house style a nickname that remains popular into the 21st Century: Painted Ladies. Does it have to be English to qualify as a cottage? Not according to architects who specialize in this cozy style offering quaint exterior facades and, if home shoppers are fortunate, a quintessential English garden to complete the picture. Structurally, cottages are built using whatever resource happens to be in the area, with wood, stone and thatch being the most popular of all. While the word cottage originally meant “house with ground floor living space and upper floor of one or more bedrooms under eaves,” these houses originally housed agricultural workers (referred to as cotters) in need of living quarters. Contemporary cottages, found throughout the globe, are almost always referred to as comfy and idyllic, no matter where they’re built. If you’ve marveled at pre-Columbian pyramids and housing, you may think these societies are the genesis of the apartment house. In fact, that honor belongs to Romans, the Egyptians and Parisians. 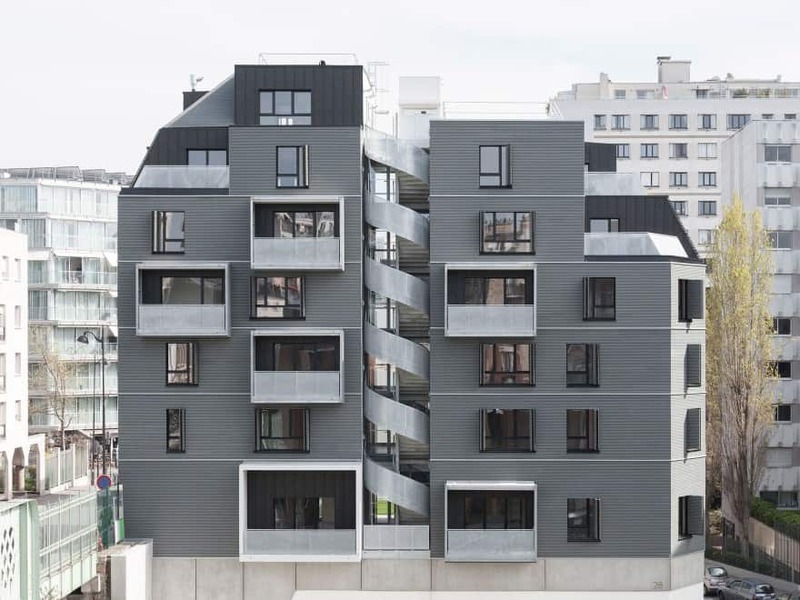 These high-rise buildings burst onto the Paris real estate scene in the early 1800s when urban planners seized upon the idea of erecting “spatially compact housing” suited to the fast-growing city. American and British travelers returned home inspired by this new type of multi-family architecture and by the 1860s, New York City’s skyline began to reflect this architectural movement. Some apartment houses became tenements. Others morphed into luxury enclaves. These days, you’ll find just as much diversity—no matter where the apartment house is erected. The Victorian-style home may be prized by Brits, but in the U.S., nothing comes close to the affection folks feel for the log cabin. Popping up on the prairie as settlers moved westward, the log cabin proved to be practical, romantic and relatively easy to build—as long as one could find a steady supply of lumber. 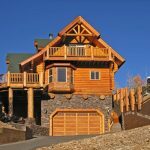 Typical log homes tend to have the following features: Exposed logs; rafters and beams; timber posts sunk into stone bases; truss work on eave overhangs and low-pitched roofs. Because the log cabin is simple to construct, builders place great emphasis on horizontal lines and small details like window banding. These charming homes have received big makeovers over time; some of today’s log cabins are anything but simple! The mansion represents more than a residence; it’s also a symbol. Does size matter? That depends upon who you ask. 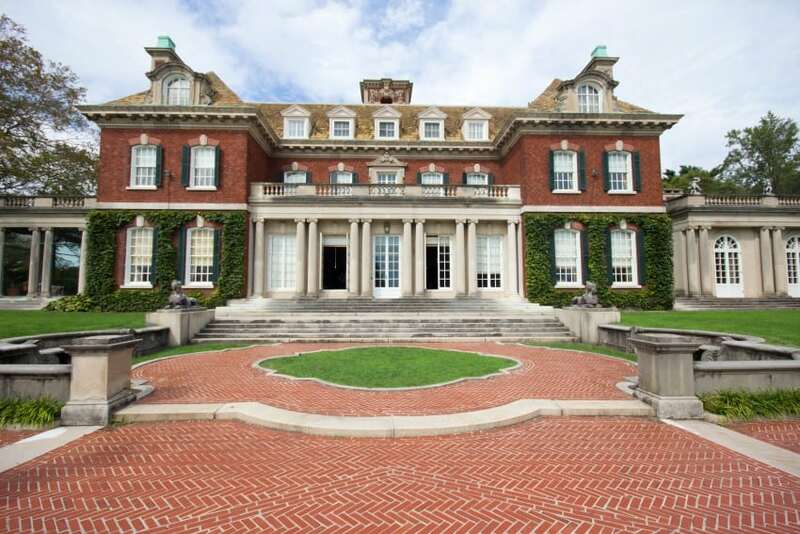 Some realtors will qualify any manse measuring 5,000-square feet as a mansion, while others say the home must be at least 8,000-square feet. In very rich neighborhoods, no home under 20,000-square feet would qualify. 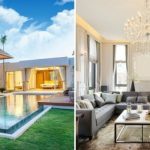 How to decide if a home is a mansion given this size disparity? Evaluate the residence’s over-the-top features. Mansions typically have lots of bedrooms and special use areas like home theaters, wine cellars, game rooms and gyms. It’s not unusual for a mansion to have multiple kitchens and enough bathrooms to accommodate royalty. It goes without saying that materials used to build mansions must be of the highest quality. 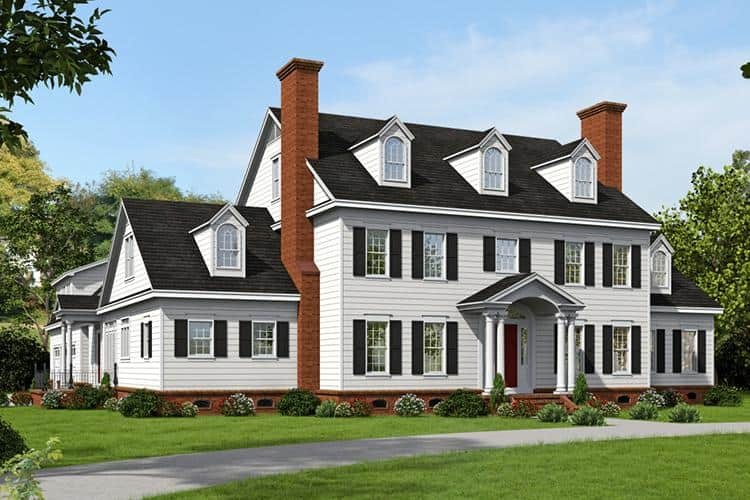 With deep roots in Colonial America, this home type was popularized by 17th Century settlers who brought their European sensibilities with them as well as their ideas for home design. These days, the biggest concentration of original Colonials is located along the Northeast shore where both the British and the Dutch built their own versions of Colonials of brick, stone and timber. That stated, finding commonalities got harder as this home style evolved, but if you look for pitched roofs, tiny windows, massive chimneys and symmetry, you’ll be on the right track. Why tiny windows? There was a high tax on glass in the colonies, so if you see a Colonial with lots of windows, it’s probably not a historic home. 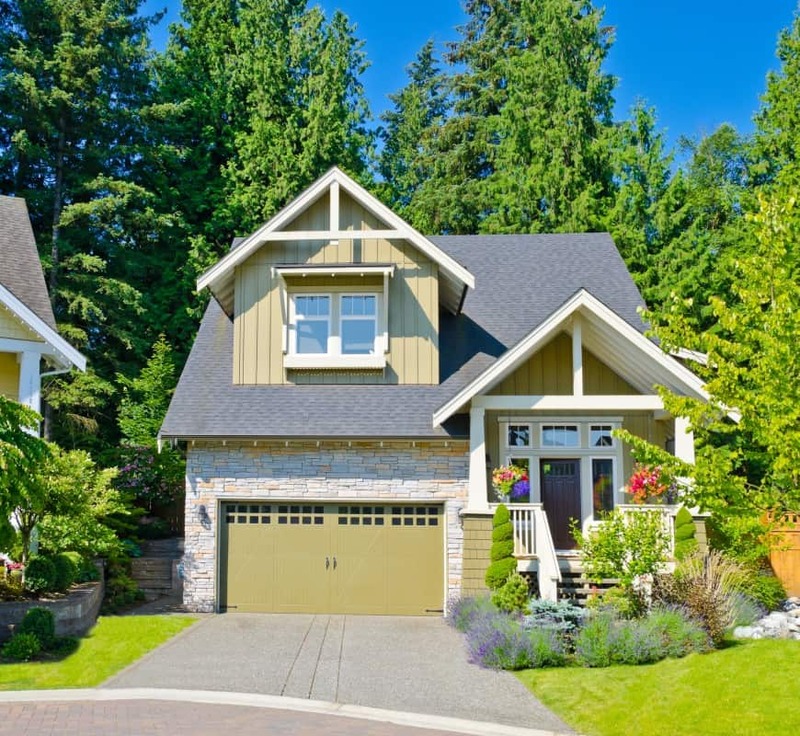 Little bungalows have become mega-homes over time, and while a homeowner can do a great job of making their residences look cozy, there are building criteria to meet if a house is to be properly identified as a bungalow. According to AntiqueHome.org, bungalows are quaint, affordable abodes with roots in America’s Arts & Crafts movement. 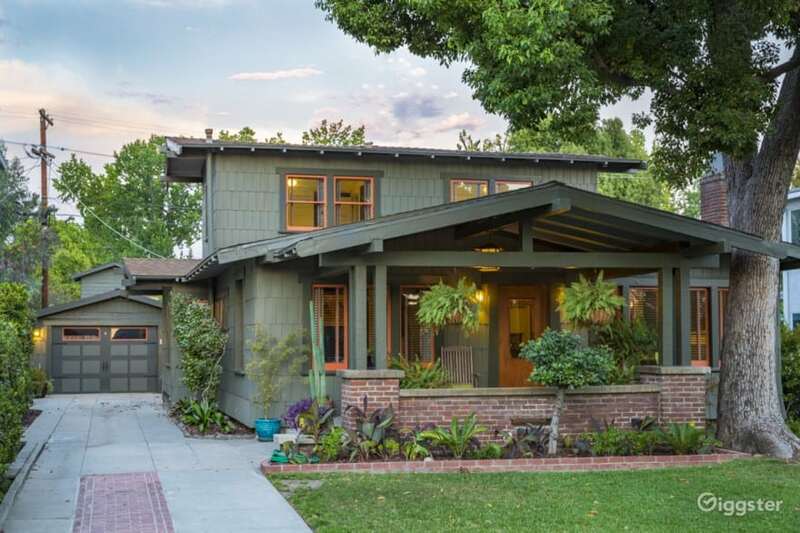 Pioneered by architect Harry Saylor in the early 1900s, all bungalows share these design elements: low-pitched roofs over roomy front porches, exposed rafters, built-in cabinetry, wainscoting, oversized fireplaces and dormers. In fact, bungalows are some of the earliest examples of open floor planning introduced in America and they were the inspiration behind “kit homes,” once sold by Sears and Roebuck. Must you own 40 acres and a barn large enough to house chickens, cows and goats to declare a residence an authentic farmhouse? Not these days. Original farmhouse examples are found in the Northeast where settlers first landed on U.S. shores, but they came into their own in the Midwest, where farming remains big business. 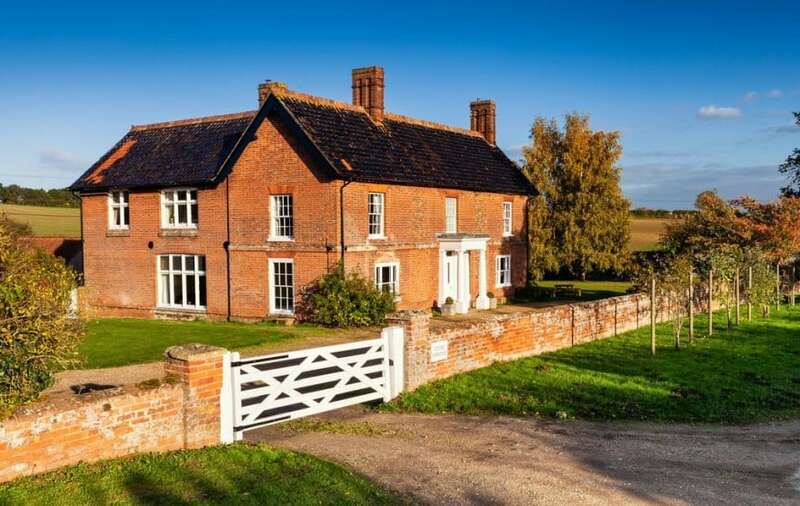 Also, farmhouses are found a lot in country side in the UK as the picture above. Farm houses can be one or two stories. They tend to be shaped like boxes, but don’t let that shape fool you: walls were thick and sturdy to protect dwellers from Midwest winters and interiors could be cozy if farm families took the time to decorate. 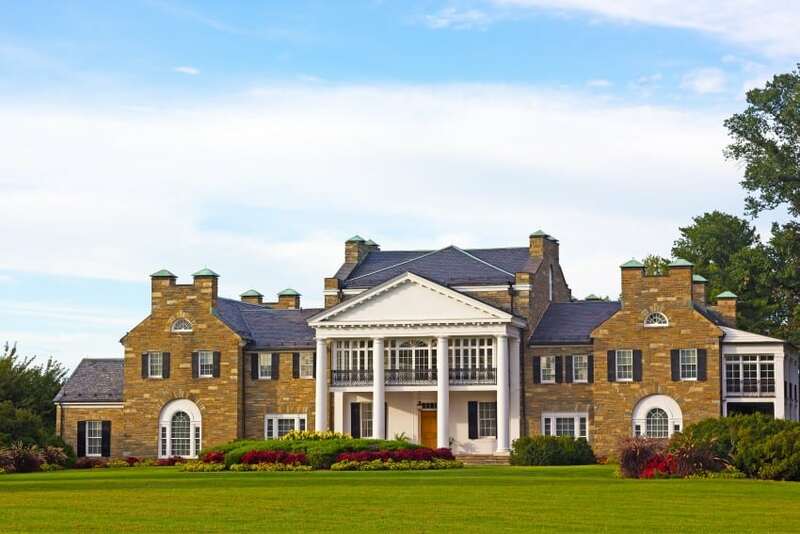 Borrowing other architectural styles over time, you can find Victorian, Georgian, Greek Revival and even Modern Farmhouses dotting the landscape. Manor Homes come with impressive pedigrees and lineages. Originally conceived as residences for local lords and landowners, these structures first appeared during England’s late medieval period, borrowing architectural influences from Saxon and Norman conquerors. The earliest manor houses were built to house huge numbers of people since families and servants all lived under one roof and often in one huge room. Some manors were surrounded by moats and fortified walls and individual rooms were nonexistent. But by the 14th Century, manor houses were built with separate living quarters used for common and uncommon purposes: landowners built musician’s galleries and expansive kitchens. By the 15th Century, Manor Houses had become so lavish, many were three stories high and housed a family chapel. The Neoclassical house style emphasized class divisions plus architectural goals of symmetry and balance. A preponderance of these formal, imposing houses were clustered along the East Coast where brick construction extended from foundation to roof. 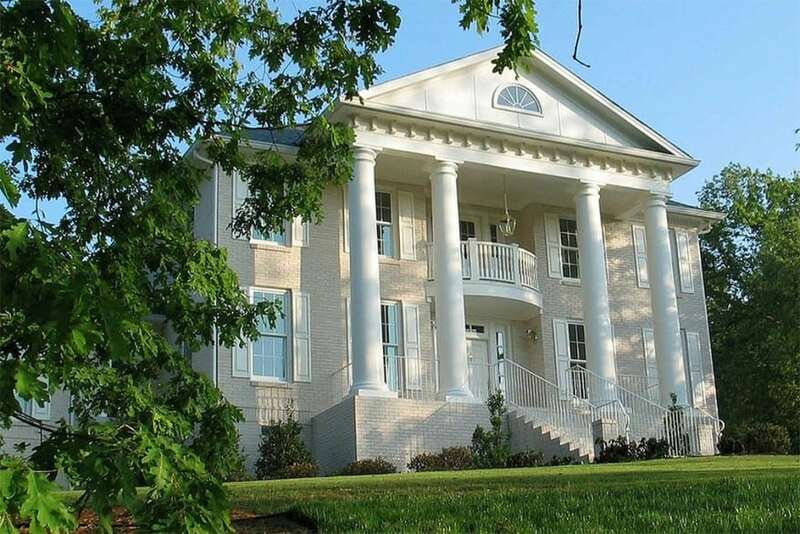 Tall columns—usually in the Doric style—and evenly-spaced windows (an exact number on either side) with decorative shutters were signature features of the Neoclassical home. Great emphasis was placed on the design of this home’s entryway. A triangular design element is usually found over the doorway. Lavishly-carved architectural bas relief decorations and pediments were placed on either side of the door. Study either Thomas Jefferson’s Monticello or the U.S. Supreme Court building and you’ll have a better understanding of this classic house style. 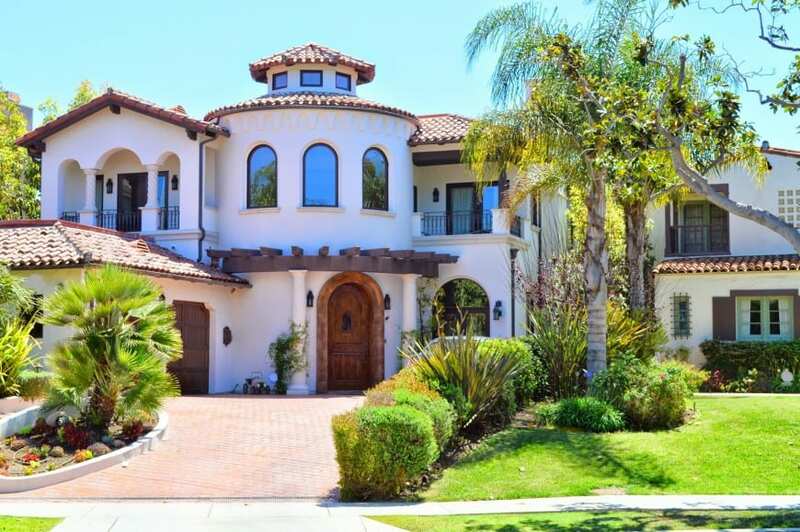 Look deep into the history of Spanish architecture and you’ll find a mix of Roman, Iberian and Mediterranean influences dominating homes of all sizes. Originating in Cordoba, European and Arabic architectural style marked 15th Century building design and became so diverse, Spanish residential architecture split into two camps: Spanish Revival and Colonial. The first features classic stucco walls and red-tiled roofs, covered porches, balustrades, triple-arched windows and ornamental embellishments. Spanish Colonials are usually built of local building materials like adobe clay and are identified by Baroque-style trim, flat roofs and elements borrowed from Native Americans. 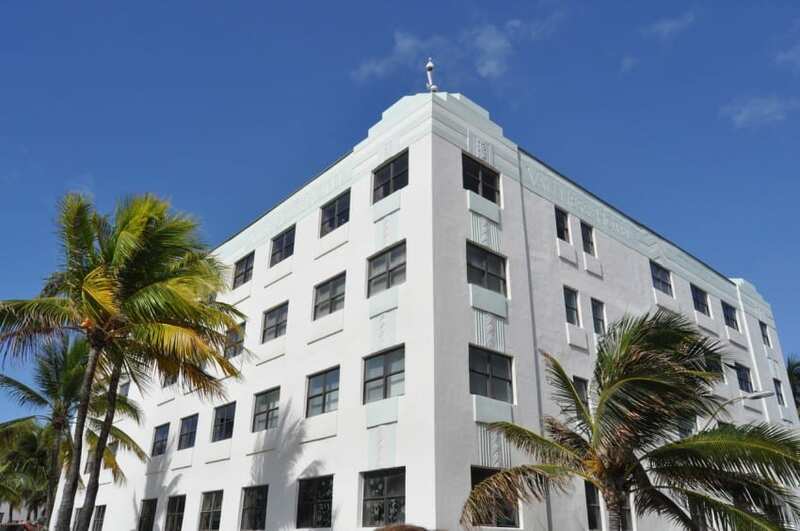 To appreciate the wide spectrum of this architectural family, visit http://www.spanish-art.org/spanish-architecture.html. According to experts, any residence built atop a building qualifies as a penthouse, whether that building is 20- or 50-stories high. Symbolically, these types of living spaces are associated with wealth, position and “privileged territory,” say editors at Faena Aleph. But history tells a story that’s far different. Once upon a time, penthouses were considered undesirable, dirty and uninhabitable—until an architectural renaissance took place in New York City in the early 1920s. Between the development of efficient and safe elevators and the aggressive marketing campaign waged by architects like Emery Roth, attitudes about the desirability of living aloft changed drastically within a very short time. 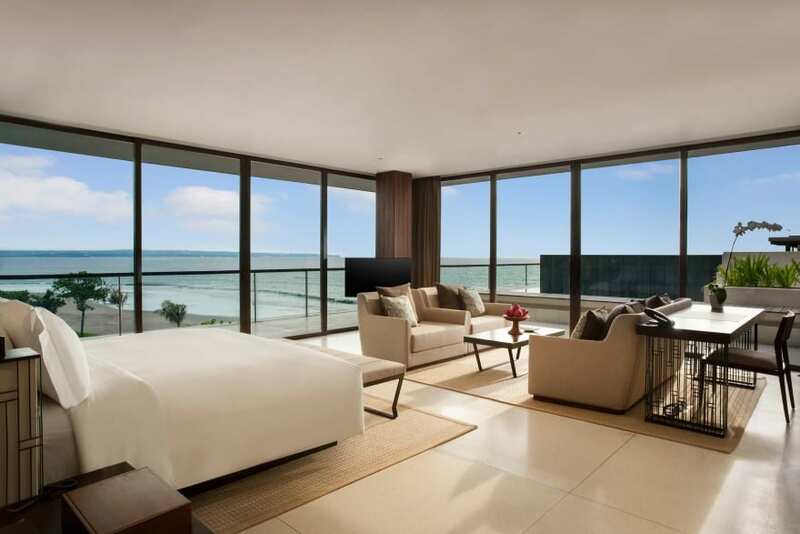 Steven Ruttenbaum coined the word “penthouse” but for folks able to buy these units, a better word might be heaven. 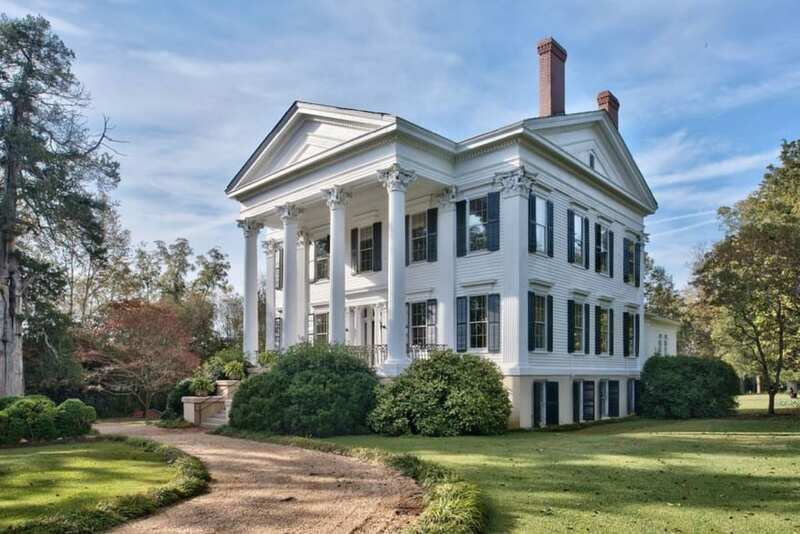 If you encounter a house that matches the one owned by Scarlett O’Hara in the film “Gone with the Wind,” you’ve stumbled upon a Greek Revival House decorated with multiple columns, a horizontal transom, Greek-style moldings and classic pediments. Originally built of stone, brick and mortar, these days, Greek Revival decorating touches are usually wood covered by plaster that’s painted white to heighten the illusion. Because Greek Revival houses are topped off with low-pitch roofs, Greek Revival home owners had to put up with extensive leaking when this home style first debuted, but skilled restoration experts and the introduction of new housing materials have made the downside of owning a Greek Revival relatively trouble-free. As 17th Century French commoners admired Manor Homes owned by the nation’s elite, architects were inspired to design affordable residences meant to be just as stylish and fanciful, but without those lofty price tags. The result of their efforts is celebrated in today’s French Provincial-style home, known for steep slate roofs, brick construction, balustrade-embellished porches and symmetrical lines. Some home shoppers confuse the French Provincial with French Normandy, but these abodes are extremely different. French Provincial homes are simple and charming. French Normandy residences are pretentious, with grand towers and embellishments. French Provincial home construction tends to mix stucco and brick and roofs are dramatically pitched. These homes feature quaint awnings and copper trim, each element an example of how architects came to build manors for the minions. The Craftsman is an offshoot of the nation’s Arts and Crafts tradition. First designed as a commentary on the loss of America’s desire to build individual houses rather than tracts, a small school of cutting-edge architects lead this movement. 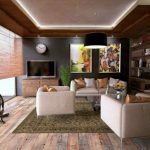 Elements that showcase this home design are roomy dormers, shingled siding, exposed wood, roomy front porches, rustic columns, exposed rafters and low roof lines with wide, overhanging eaves. Brick or stone footings anchor these homes made of brick, concrete and sometimes, stucco. One of the most prominent features of a Craftsman is the extensive use of glass for windows, doors and decorative panels. Architects were keen to integrate indoors with outdoors, and what better way to do that than to build houses with enough glass to make that integration seamless? 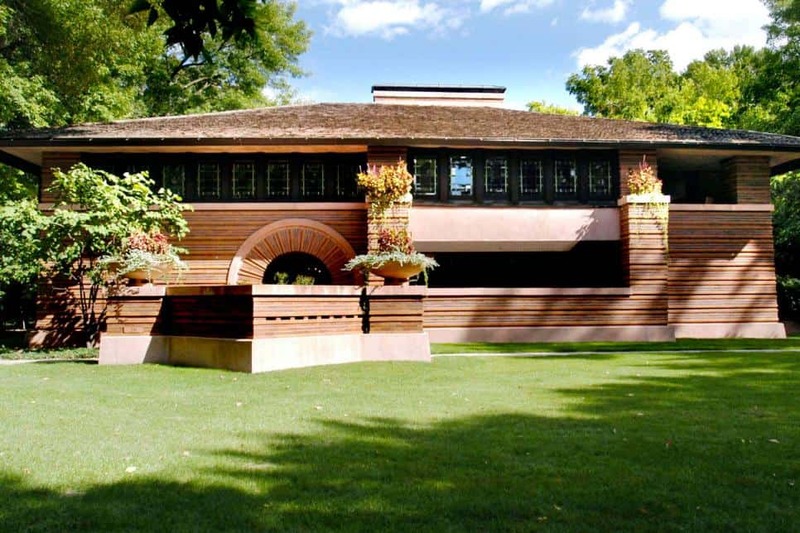 If you’re a fan Frank Lloyd Wright, you’ll need no introduction to the Prairie House, a style of home that’s more horizontal than vertical and constructed of organic materials. One of four house styles to emerge from the aforementioned Craftsman and Arts and Crafts movement, Prairie Houses are a uniquely American phenomenon promoted by Wright and his contemporaries. The grand objective of Prairie House architecture was to rid houses of their European past and develop uniquely American structures made of locally-sourced materials. Simple. Spacious. Organic. On occasion, you might find a second story on Prairie houses, but you’ll always find a low-pitched roof, hefty chimney and signature “ribbons of windows” set into horizontal casements. The Tudor House didn’t appear on the housing scene until around 1890 but remained a favorite into the 1940s. 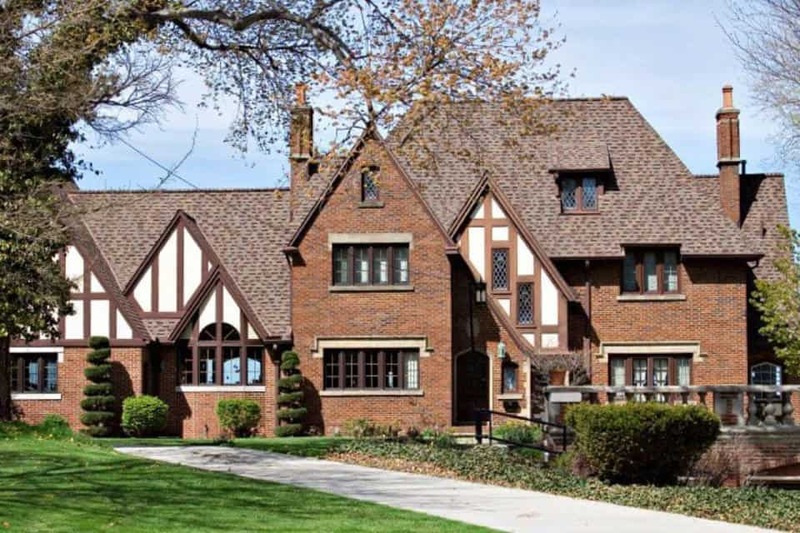 Tudor homes are distinguished by brickwork, decorative stone facades, gable roofs and masonry or stucco finishes. Builders lavished exteriors with half-timbers and historians make special note of elaborate masonry chimneys, the use of weatherboard and shingled walls. Groups of casement windows framed in wood or metal installed in rows of three or more–and often arranged in diamond patterns interspersed with sections of leaded glass—are often discovered beneath a Tudor’s main roof gable. Look for large bay windows and unique embellishments that include black metal hardware on doors and windows, board and batten doors and custom-cut stone pieces set into brick walls. A single-family home is the most common type of residential property. These homes serve as a single dwelling unit for one family. To qualify as a single-family home, the property needs to be detached, which means that it cannot share any walls or roofs with other homes or properties. The home also needs to be built on a private parcel of land with direct access to the street. Other requirements include one set of utility services that are not shared with other residences and a single kitchen. These homes may also have their own garage, shed, or driveway. As the home needs to be built on its own parcel, most single-family homes have yards, which provide space for gardens and playsets for children. A condominium is a residential building containing multiple living units, like an apartment building. In fact, the only difference between these two buildings is the ownership. Unlike an apartment where the units are leased, the condominium units are individually owned and considered real estate property. An individual unit may be bought and sold without buying or selling the entire building. The owners of these units also share ownership of the common areas on the property. The common areas often include the yard, entrances, hallways, and other amenities. Many condominiums establish their own association to manage the upkeep of these areas and ensure that all owners take equal responsibility for maintaining the property. 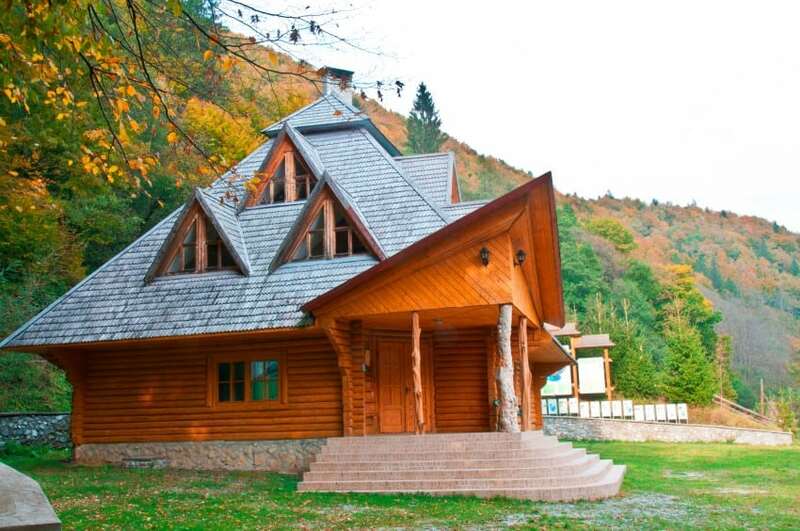 A chalet is a type of home featuring a gently sloping roof with wide eaves. The eaves are typically set at a right angle to the front side of the home. These properties are also traditionally made of wood. 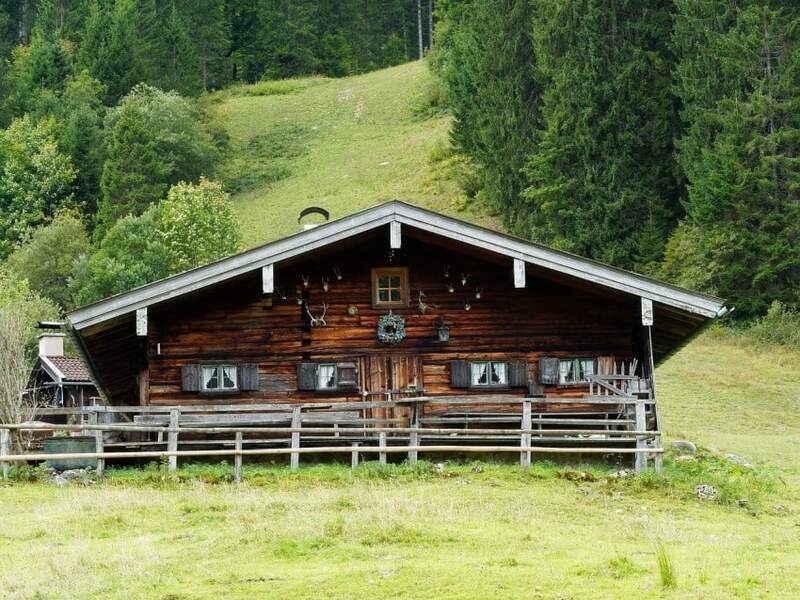 The original chalets were primarily used for housing dairy cattle in the hilly and mountainous regions of the Swiss Alps. However, they have become associated with the luxury hillside cabins that are often used for holiday retreats and found on skiing resorts. 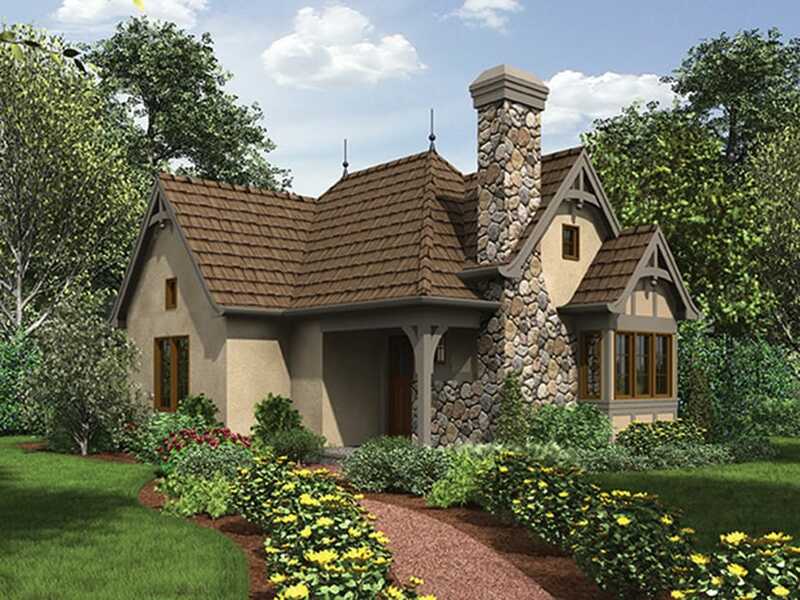 These homes may or may not include the traditional chalet design elements, such as the sloped roof with wide eaves. A mobile home (or tiny house) is a prefabricated home that can be transported to a specific site, such as a mobile home lot or a parcel of land. 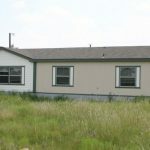 These homes are also referred to as trailers or house trailers. The origin of the mobile home is connected to the popularity of travel trailers. Travel trailers could be towed by a vehicle, providing vacationers with a convenient temporary home. 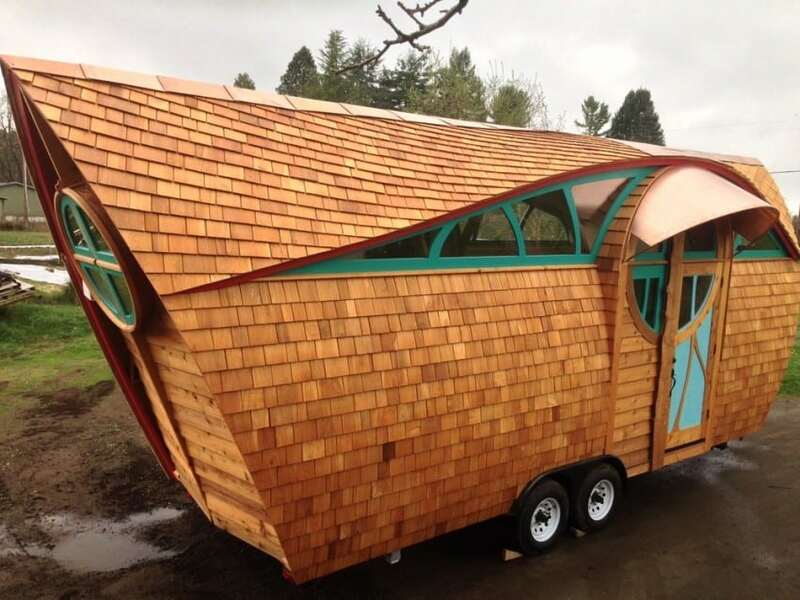 These trailers were eventually marketed as permanent tiny homes. Mobile homes typically have a rectangular design and are constructed from aluminum panels or wood. The original mobile homes were 8 feet wide, while the current single-wide mobile homes are 18-feet wide and 90 feet long. A tree house is traditionally considered a small fort or platform built into the branches of a tree for children to play on. However, there are now tree houses that offer the same amenities as a small home. These tree houses require a tree with a large trunk and branches to support the structure. Along with the branches of the tree, struts and stilts may be used to provide additional support. Modern tree houses that are used as a residence are available in many different styles and designs, including rustic or luxury tree houses. 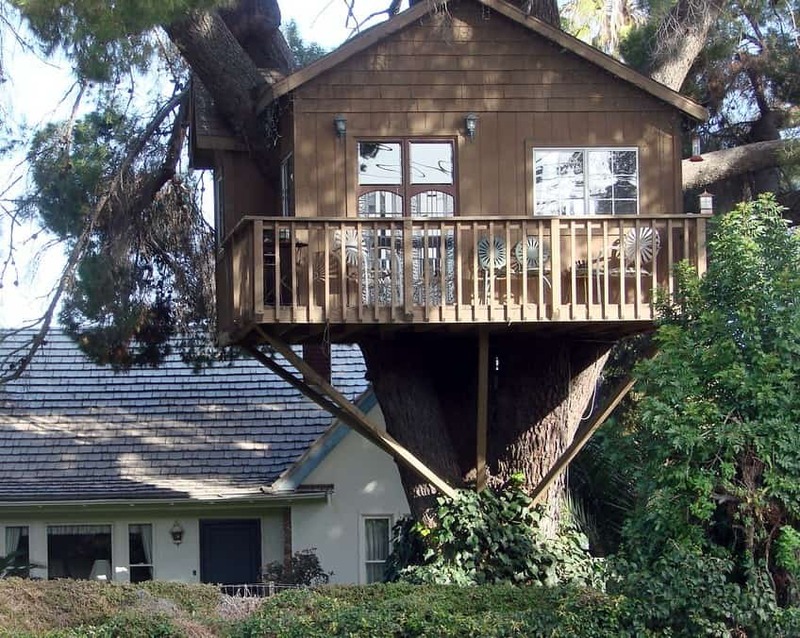 In some regions, tree houses are exempt from standard regulations for real estate properties. 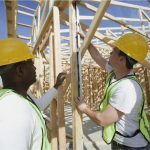 For example, they may not need to comply with the same standards used for the construction of a single-family home. A container house is a residence made from a steel shipping container. These homes are part of the sustainable living trend. Due to their small size and use of existing materials, energy costs are typically much lower than those in a standard single-family home. 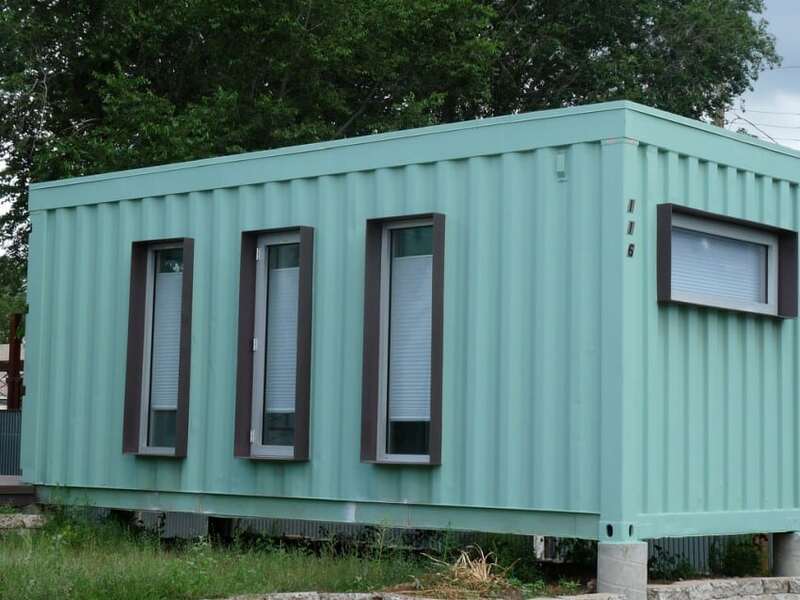 Like a mobile home, some container homes are prefabricated and then transported to a site for installation, such as a mobile home park or an individual parcel of land. Container houses may be constructed from one or more shipping containers and are available in many designs and layouts. A single container only provides about 100 square feet. Additional living space is often added on, using the shipping container as the base structure for the rest of the home. A house boat is a boat with the features of a house. A smaller houseboat may contain basic amenities, like a one-room apartment. There are also luxury houseboats that provide all the features of a full-size single-family home. They may contain a full kitchen, living room, dining area, and multiple bedrooms and bathrooms. Houseboats are typically moored and tethered to a privately-owned land. There are also motorized houseboats capable of traveling on the waters. In some regions, including North America, houseboats are primarily used as vacation homes. However, in parts of Europe, houseboats are often used as a permanent residence. 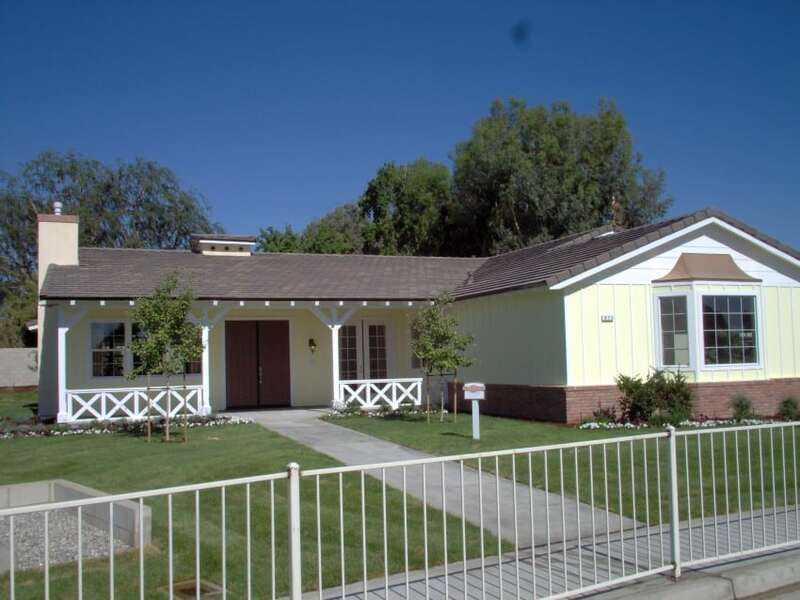 A rambler is a ranch-style home, typically built as a single-family residence. Most rambler homes are one-story buildings with a long or wide design that resembles an L-shape or U-shape. Many of these homes are built on a concrete slab, while others may have a crawl space or basement. Additional characteristics of a rambler home include a low-pitched roof, open floor plans, large windows, and vaulted ceilings. They may also have overhanging eaves and an attached garage. Depending on the level of the terrain where the home is built, the rambler may also have sliding glass doors that open out to a patio area. 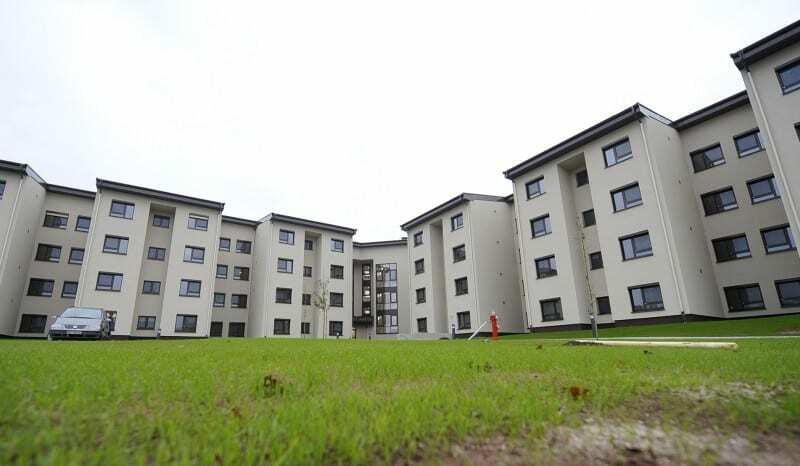 A dormitory is a residential building that provides sleeping quarters for multiple people. The individual units are called rooms or dorm rooms. These rooms may not have any amenities, simply providing a small living space and sleeping area. The bathrooms, kitchens, and recreation areas are often communal. Some dorm rooms provide sleeping space for more than one person, especially when used as a residence hall on a college campus. In North America, dormitories are commonly used on college campuses to provide students with a convenient residence that is close to school buildings. Dorms may also be used at boarding schools or to provide inexpensive accommodations for travelers. Military bases, prisons, and companies also use dormitories to provide sleeping and living space. A duplex consists of two living units that are connected by a shared wall or roof. These units may be positioned side by side or on top of each other. They are considered a single real estate property and are built on one parcel of land. Like a single-family home, there is one owner. 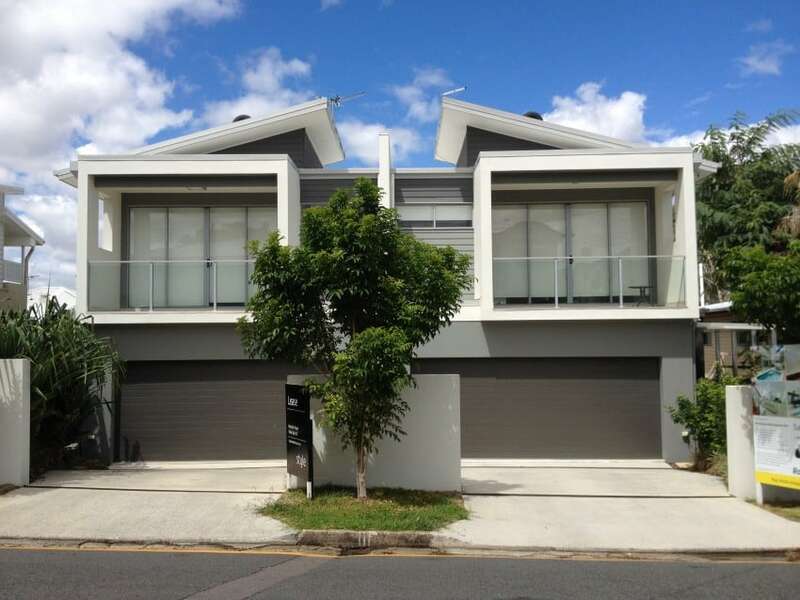 The owner may rent out both units or live in one unit and rent out the second unit. In urban areas, a duplex may be built as a single dwelling unit with two floors. Each floor has its own living unit and a small foyer or hallway may provide access to the front door of the lower unit and stairs to the upper unit. An igloo is a type of home built from blocks of snow. These homes are often associated with the Inuit and Eskimo peoples of Canada. 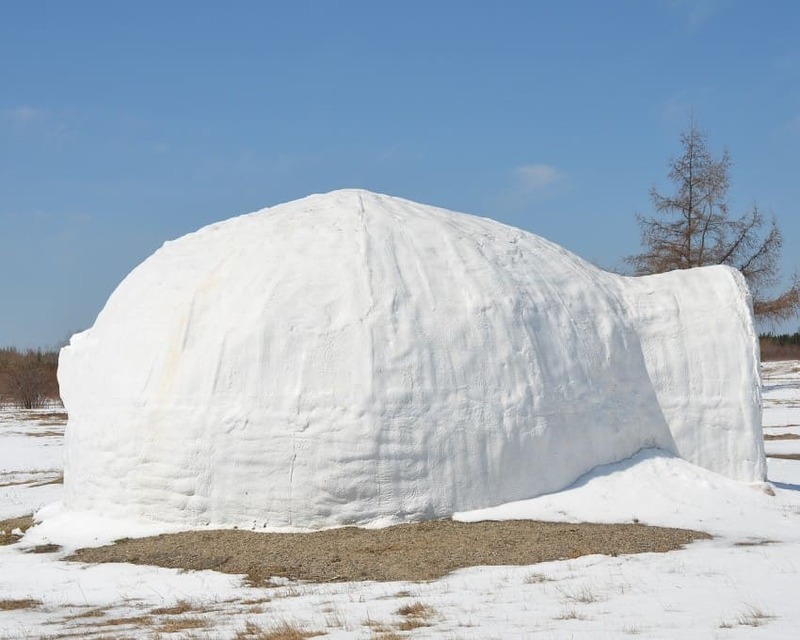 The igloo provided protection from the cold, as the snow blocks offer insulation. Most igloos were built as a single-room dwelling unit. Some of these units were temporary, while others were built as permanent houses. There are also modern homes built to resemble igloos. They may be constructed from ordinary building materials, such as wood, brick, or concrete while retaining the unique igloo shape. These homes often feature an open floor plan and may be used as a permanent residence or a vacation home, depending on the size and where the igloo is built. A terraced house is typically one dwelling unit in a row of identical houses that share side walls. These houses are often two or three-story houses with their own entrance and exit. Each house is intended as an individual dwelling unit and can be bought and sold independently from the other terraced houses in the row. In some regions, these houses are also referred to as row houses, as the houses are lined up in a row. They may also be called townhouses. 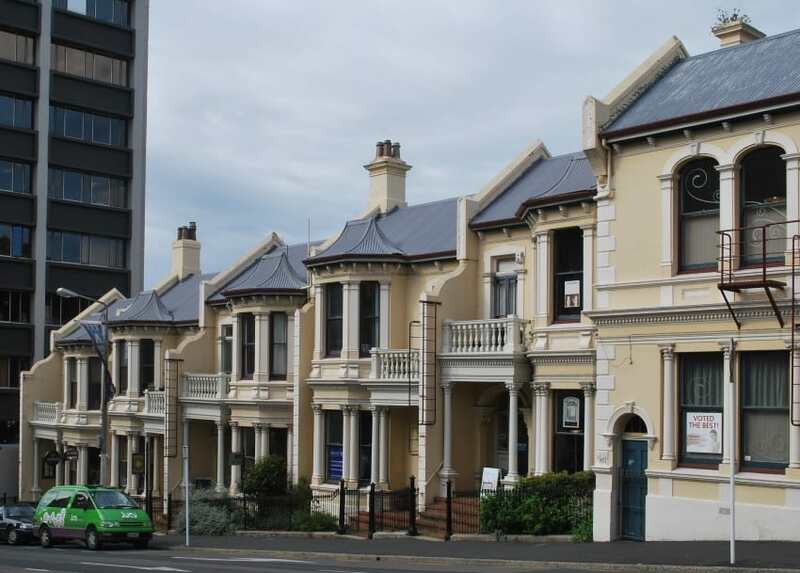 In urban areas, city planners often chose the construction of terraced houses to provide more housing in a limited space. The style and designs of these homes can vary and typically resemble the popular architectural style of the time when they were built. 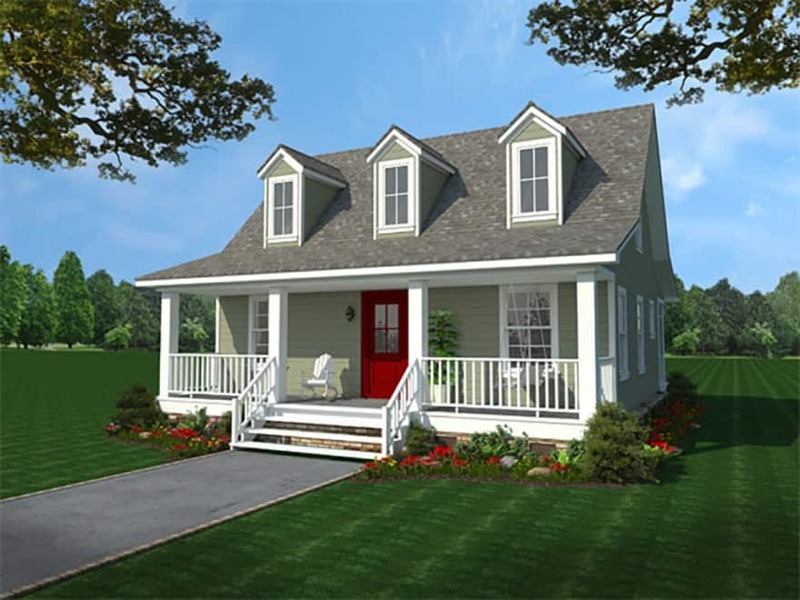 A carriage house or coach house is a dwelling unit that is typically used as a secondary residence on the same lot as a primary structure, such as a single-family home. The original carriage houses were built to house horse carriages or stagecoaches. As the use of automobiles replaced horses as the primary method of transportation, many of these carriage houses were converted into secondary living units. These living units may serve as a guest house or rental unit. Secondary, detached homes that are built on the same lot as a primary residence are also often called carriage houses. 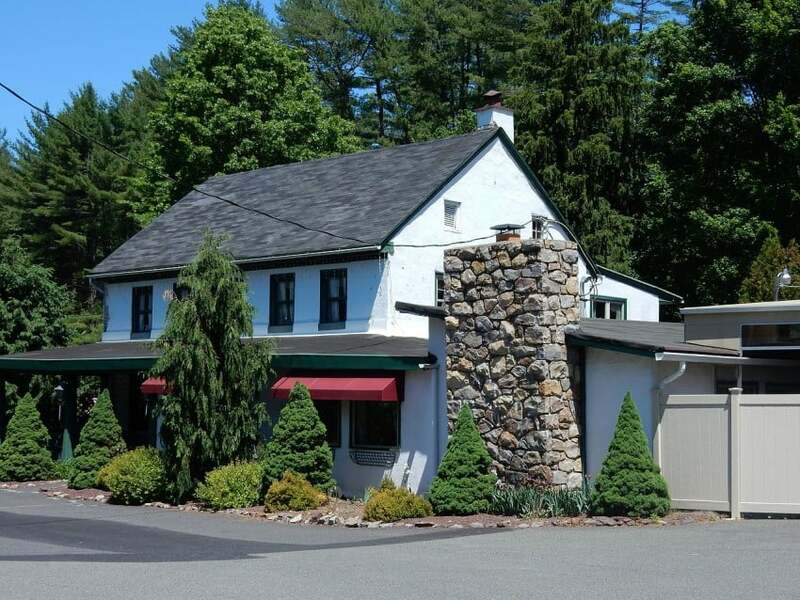 The carriage house or coach house should not be confused with carriage home, which is a marketing term that refers to single-family homes that are built on a communal lot or a lot that is just large enough for the home.